Jeffrey Grass, MD, radiation oncologist with OHC (Oncology Hematology Care, Inc.), and Bradley Lemberg, MD, Ear, Nose and Throat specialist with Mercy Health – Fairfield Hospital, are teaming up to provide free oral, head and neck cancer screenings. 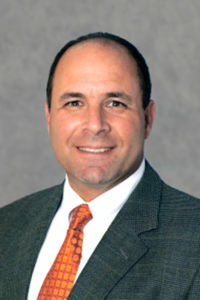 Place: Suite 205 in the Medical Arts Building on the campus of Mercy Health – Fairfield Hospital,. 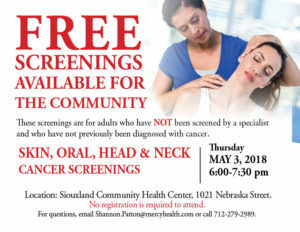 Thursday, May 3, 2018 Held at the Siouxland Community Health Center No registration required. Screenings are free and no registration is required.